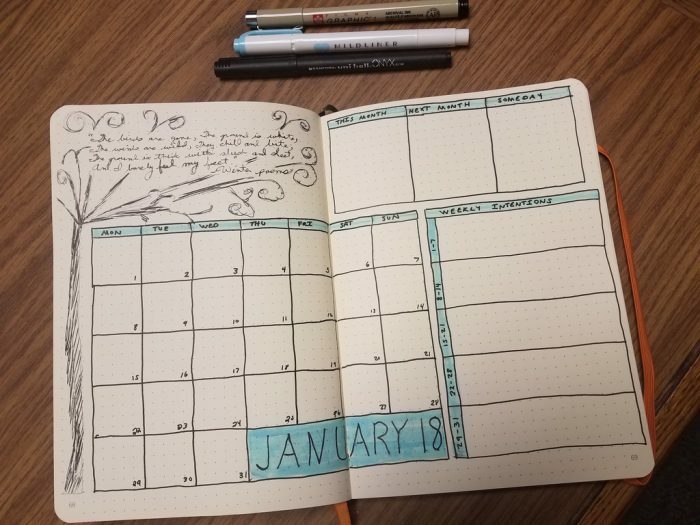 I’ve been adding a bit more whimsy to my planner, with monthly themes. I’ve always loved to cook with the seasons and want to celebrate them in other ways, too. That’s why I’m excited to partner with viral holiday website National Today to share the ultimate 2018 holiday celebration calendar. Below, you’ll find some of my favorite holidays in each month throughout the year — so you can plan ahead to join the party! Whether you are a blogger or social media maven looking for inspiration, curious about all the days you hear about, or looking for an excuse to indulge, National Today gives some fun holiday history, facts, and helpful deals to help you celebrate in style. Here are some of my favorite holidays in the year ahead. Remember to mark these holidays on your calendar, and cheers to a 2018 full of celebration! Celebration of Life Day is a great excuse to make a list of everything in our lives worth celebrating! Because who doesn’t love an excuse to eat chocolate cake? Another chance to choose more realistic New Year’s intentions. For those loud and proud independent ladies and gents. I love pancakes! Here is a post I wrote with some of my favorite pancake and waffle recipes. Did you know that women are most affected by poverty? Because who doesn’t need to unplug? Let’s here it for local! What is your favorite holiday? How do you add an element of celebration every day?